Received a recess appointment from John F. Kennedy on October 5, 1961, to a new seat authorized by 75 Stat. 80; nominated to the same position by John F. Kennedy on January 15, 1962. Confirmed by the Senate on March 16, 1962, and received commission on March 17, 1962. Assumed senior status on September 11, 1974. Service terminated on February 13, 1980, due to death. Paul R. Hays papers, ca. 1910-1980. 51 linear ft. (ca. 33,950 items); finding aid; collection contains correspondence, manuscripts, documents, photographs, and memoranda. 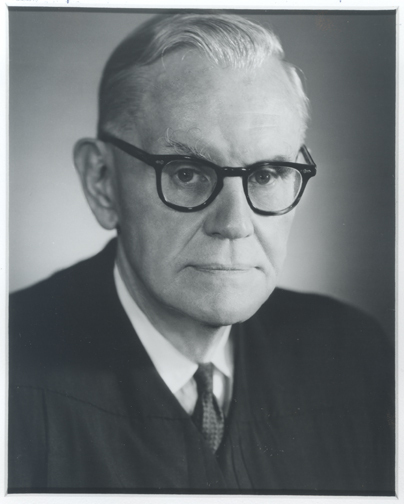 Paul R. Hays; artist unknown; Photograph; n.d.; U.S. Courts Library for the Second Circuit, Thurgood Marshall U.S. Courthouse, New York, N.Y. Reference image courtesy of the Office of the Circuit Executive, U.S. Court of Appeals for the Second Circuit. Further reproduction prohibited without permission of the circuit executive's office. [Miscellaneous]; by various; Photographs; ca. 1960s; Paul Raymond Hays Papers, ca. 1910 - 1980 (Boxes 32 and 106), Rare Book & Manuscript Library, Columbia University in the City of New York, N.Y.
Paul R. Hays; by Daniel Greene; Oil on canvas; n.d.; Columbia Law School, New York, N.Y.